Don’t you wish you could say that about your workers? It’s not a far-off dream or an unrealistic goal. There’s a way you can accomplish all the tasks in your home-based business without having to do them by yourself—at price that’ll cost you a fraction of what you’d pay a local full-time employee. What’s the secret to freeing up time, saving money and building a profitable business? Outsourcing to the Philippines by finding virtual workers at OnlineJobs.ph. Ross was once not unlike many novice entrepreneurs. As a hard-working single father, he was getting his home-based online business off the ground. Unfortunately, he had a few things working against him—things you can probably relate to. Ross had little money and little time to get his business started the way he wanted. He was also brand-new to the world of owning a business. As he got things underway, he knew he needed help. So, he did what so many other small-business owners and startup entrepreneurs do: He searched online to connect him with freelancers. It didn’t take long for Ross to realize these freelancers were going to cost him an arm and a leg. Big problem. He didn’t have the money to pay these high-priced freelancers. Because he couldn’t afford the crazy rates these workers wanted, Ross’s only other choice was to do all the work himself. Sure, that would save big bucks, but how in the world could he accomplish all the tasks needed to carry out his fledging business? And how would he have time for his children? That’s when he found OnlineJobs.ph, and his business and his life were never the same. And they both agree to make sure they still have time for their families. 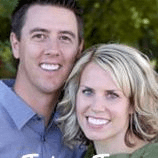 Ross hired an eager, skilled virtual assistant from the Philippines. He paid this worker much less than the freelancers he had been looking at were asking, and far less than he would have paid a local full-time employee. He was amazed at her abilities and how well she fit into his business. Hiring her diminished his workload and allowed him to focus on making money. While hiring the right help at a good price might be convenient and cost-effective, for some, outsourcing to the Philippines has taken their business farther than it’s ever been. Steve had just started an at-home Internet marketing business but was struggling to make money. Plus, he was busy with a full-time job and just wasn’t seeing the results he had hoped for. Then he decided to look for a virtual assistant from the Philippines to help. Steve hired a virtual assistant, and within just three weeks, thanks to the hard work of his VA, a previously unprofitable website had made $600. A few months later, the site had made him more than $10,000. The quick success allowed Steve to hire two more full-time VAs and start six new websites for his business. Steve was initially hesitant to hire a Filipino VA, because he didn’t think he had enough work for the person to do. But he was quickly amazed at just how much went into running a business and how many tasks this VA could accomplish. If your business is stagnant, but you don’t have enough money to hire a freelancer or a local full-time employee to kick things into gear, use OnlineJobs.ph. There’s no guarantee your business will jump start as quickly and lucratively as Steve’s, but you’ll love the freedom you’ll find by hiring a VA from the Philippines. Generating customers and business wasn’t an issue for Larry. Handling all the work was. Some might think this is a good problem to have, but Larry was swimming upstream in a river of stress and exhaustion trying to keep up with the growing demands in his home-based company. Because he couldn’t manage the workload, his business was suffering. Just when he was about to become completely overwhelmed, he found OnlineJobs.ph. Larry began hiring virtual assistants from the Philippines. He trained them on the assignments he needed them to complete, and soon, they were taking care of everyday tasks such as editorial, marketing and administrative duties. Now he could concentrate on the bigger picture, work with more clients and grow his business—because he had more freedom. Once he had five VAs working for him, Larry’s income more than doubled thanks to the increased capacity outsourcing to the Philippines gave him. Based on his business growth, he expected sales to continue shooting upward. Many entrepreneurs are on their own or lack the help to handle daily projects and responsibilities. This requires the business owner to personally take care of the programming, the copywriting the marketing, the web development and just about everything else. This leaves little time to do what’s most important: making sales and making money. Hiring help seems like an obvious need, but when cashflow is tight, business owners often can’t justify spending the money on local full-time employees. Freelancers aren’t the best option because they only offer a temporary solution. 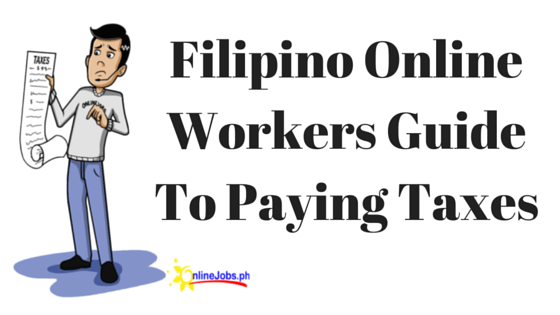 When these entrepreneurs go to OnlineJobs.ph they can choose from well-qualified Filipino workers who are more than capable of taking over daily tasks. What’s more, they can hire help from the Philippines for as little as $350 a month, a fraction of what a local employee would cost. OnlineJobs.ph and outsourcing to the Philippines truly changes lives and creates freedom for the entrepreneur and business owner. But don’t take our word for it; read what business owners say about their own experiences. Are you ready to add your name to these and many other success stories? Create freedom in your life today: Find your Filipino virtual assistant at OnlineJobs.ph. John helps business owners learn to outsourcing to the Philippines and replace themselves with virtual assistants. He founded and owns OnlineJobs.ph. He currently employs 21 amazing Filipino workers full-time and loves every one of them (except maybe 1-2, who are driving him a bit nuts right now). He lives in Utah, has a wonderful wife, 5 amazing kids, and golfs 4-5 times/week. Find John at JonasBlog.com and Facebook.